Connected learning advocate and expert, Gardner Campbell, shares his insight and wisdom gained from 25 years of technology-enhanced higher education. A self-described intellectual omnivore, Campbell is a man of many interests and talents – a former radio announcer and popular professor (Milton and Renaissance studies, film studies, new media studies), a bassist, film buff and dedicated collector of books and music. And as the former Vice Provost for Learning Innovation and Student Success at Virginia Commonwealth University, he put his entrepreneurial skills to work in launching the school’s Academic Learning Transformation (ALT) Lab. 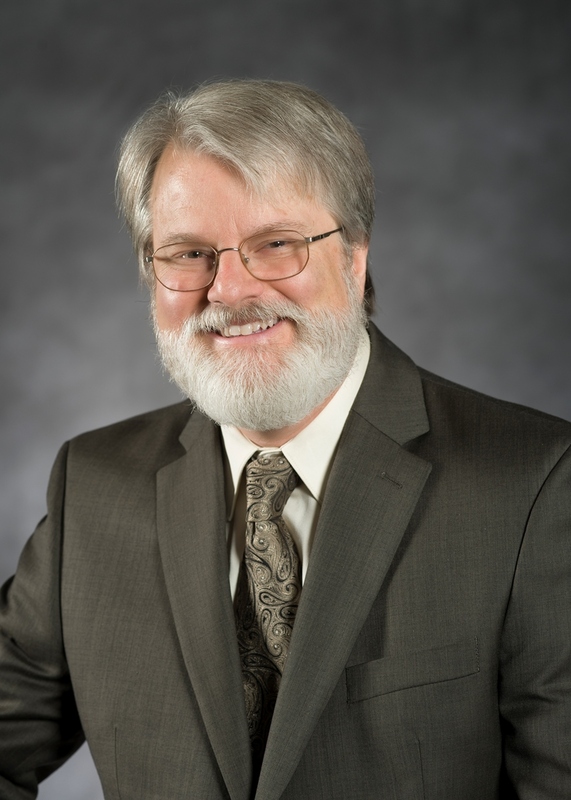 Campbell has also served on numerous advisory boards and chaired both the Electronic Campus of Virginia and the governing board of the New Media Consortium. Likewise, he is a frequent speaker at conferences and workshops, both nationally and internationally, and the author of a blog, “Gardner Writes,” at www.gardnercampbell.net. You can also find him on Twitter @gardnercampbell. HOW DID YOU GET STARTED IN THE FIELD OF EDUCATION? Well in school I got started in the field of education in school. I went to a small private first grade because my parents didn’t know what to do with me. This was the official answer they gave me later. We didn’t know what to do with you. So, I figured school is where they found out what to do with me. Her name was Ms. Wills. It was in the basement of her house and there were maybe 15 of us and she taught me to read. I loved to read. She loved that I loved to read, so she gave me books and I just read and read and read and it was an astonishing feeling. Knowing how to read meant that I would never need to be bored again and it would mean that potentially the whole world could talk to me, in one way or another. I remember feeling that way when I was six years old, which is kind of interesting. I was going to be a psychology major. And I still like to kind of mess with people’s heads especially my own, but when I got that magic English teacher and found out what you could do when you thought seriously about a poem in the company of an expert, I was just blown away. I thought this is crazy. There are thousands of poems in the world. I could do this with every one of them. I was not just saying I could read them and think about them, but I could help people have this experience of expanding meaning, expanding possibilities for inquiry. Really not only expanding their own awareness, but what it would be like to be in a community of learners. I still didn’t know I was going to be a professor. I thought maybe I’d be a DJ because that was my marketable skill when I got out. HOW DID YOU GO FROM DJ TO TEACHER? I had been a DJ at the NPR station at Wake Forest. It was a small-town radio station. It was kind of crazy times, but interesting. But something wasn’t quite enough there, so I went back to school and really there in graduate school is where I found that was going to need to be a teacher. I can look back and see that there were many signs but it was the first time I led a discussion group. In, it was an American literature class. It was being taught, grad students were in the seminar, and then we were TAS for the undergrads. So there I was leading a discussion and the discussion was like the best meal I had ever had in my life. It was just an amazing moment to think that I was able to facilitate somehow, or lead, or help to come into being this moment when people were putting their minds together and the whole was much greater than the sum of the parts. And I said I want to do that. I really want to do that. SO HOW DID YOU BECOME INTERESTED IN ONLINE LEARNING? I became very intrigued by this new thing they called the internet. Because it seemed to me in the way a network transcended the boundaries of time and space, that there would be something there would help me kind of tear down the walls of the classroom, make the learning experience that that very strong buzz I felt when we were in the room discussing things. Last beyond the class period, that lasts beyond the semester, maybe even beyond the degree. WHAT ONLINE LEARNING TECHNOLOGY DID YOU START WITH? I experimented with email first because this is back in the day when students would get their first email address when they came to college. Big deal. You have an email address now and a high-speed hook up to the Internet. So experimented with that in a first-year writing class, reasoning that if they wrote outside of class in a less formal setting they would actually be getting practice as writers. And they would maybe get closer to finding their own voices sooner. DID THIS LEAD YOU TO OTHER LEARNING TECHNOLOGIES? I got very interested in asynchronous internet-based forms of communication. Next stop the world wide web. You could look at web pages. You can also make web pages. I got very interested in asking my students to write for a public audience, which they did better, often, than they would write for me, the teacher. HOW DID THIS HELP YOUR STUDENTS TO BECOME GOOD WRITERS? Good writing is not trying to sound like what you know what you’re talking about. Good writing is you have a question and you explore it with your reader. And you may find in writing that you end up with a different question than the one you began with. That would be real research then. I very much wanted that to be part of the way I taught first-year composition. It became part of the way I taught everything I was doing from film studies through Renaissance literature, Milton studies, whatever I was doing. So that’s when I became assistant vice president for teaching and learning technologies at the University of Mary Washington. This was about the time web 2.0 got started and the idea there was let’s make this burgeoning world wide web, it wasn’t ten years old yet, into something that was truly read write, that could be participatory on a kind of a grand scale. So wiki’s were terra incognita. I was the first person to bring the word wiki into a discussion at Mary Washington, at least to my knowledge. Everybody was like what’s that? I said well let me show you. I started blogging. HOW DID YOU USE BLOGS IN YOUR WRITING CLASS? So I started doing blogging with students in 2005 and I really haven’t looked back. You’ll see our latest mother blog. It’s a term I borrowed from Barbara Ganley. It’s the place where all of the students’ blog sites are aggregated into a massive class site. So they use the class site to read what the classmates are doing. And the class site, which is a blank canvas when we start the semester, suddenly starts to get populated with all of these individual blog posts that are written on the students own site. So they picked their themes. They pick their header images. They come up with interesting tag lines. They begin to be invested in the performance of themselves as learners, within a structured and often formal learning environment, but this place is unscripted. I tell them look here’s the deal. This is your site. Make it interesting. Make it relevant to the class. They’ll say how long does it have to be. I said I don’t know. And, then I say little, you know, enigmatic things and do dances or whatever I’m in the mood for that day. I just, I don’t like to answer that question because it’s the wrong question. It’s perfectly understandable. That’s how they know they’re doing their classwork, but not with blogs. I say no. It’s got to be interesting. It’s got to be substantive. Well how will I know? I said, well, is it interesting? You should know take a look. Does it interest you? If it doesn’t interest you, it’s probably not going to interest anybody else. WHAT DO YOU WANT YOUR STUDENTS TO GET OUT OF THIS EXPERIENCE? When students understand that, there’s a kind of serious playfulness that may get them to a moment of insight. And just as good as insight, a moment of connection with their fellow students. That’s magic. The class I taught the Brit Lit survey, Beowulf – Gulliver’s Travels, just last semester, that magic happened. It took a little bit of cultivating of the magic of my part, but that’s my job. The magic happened because at the end I knew it did. Because at the end of the semester, when they were writing their last blog posts, they were saying goodbye to each other. They were wishing each other well. They were saying, “I’m sad the classes coming to an end. It’s been so great reading what you all have had to say.” Tat wasn’t what I was saying. That wasn’t what I was transmitting to them, but it was a community in which they truly felt that they were colleagues for each other and that we had been on a journey together. And that’s just thrilling. That’s hard to get to. And people will say, you can’t do that online. I think there’s hardly a better place to go to give people the feeling that what we’re doing transcends the boundaries of time and space and could even last pass the boundaries of a particular semester or a particular class. That’s, that’s the magic for me. DOES YOUR LOVE OF LEARNING DRIVE YOUR LOVE OF TEACHING? I do love to learn and there is no doubt that drives my love of teaching, But the thing that drives the love of learning is interest, curiosity. What is that? Where does it come from? So, I was working with a librarian at Baylor, she’s a gardener. I have such fun working with you in your classes, but people want to know what’s the learning outcome? Now I have a hard time with learning outcomes and I said, “You know what, I want greater depth and breadth of interest to be a learning outcome for this class.” She said, “Here’s a book you should read.” And it was called exploring, I think was the verb, the psychology of interest so that’s how I found out there was a psychology of interest. WHY I INTEREST SO IMPORTANT? So for me that moment of interest, that moment of connection is a truly sacred moment. It’s a holy moment. It’s a moment in which a human being sitting across from you, sitting next to you, has a light in their eyes that you might be able to kindle a spark in your own. With that kind of just… that that spark, that moment where we’re not just the sum total of what we’re wearing, where we came from. Is it raining outside? But we have these imaginations, these brains that have evolved to have short-term memories that are big enough to generate counterfactuals. What if? Could it be? Why? Those are great moments. And as they surround curiosity, as they surround and fuel interest, that for me is the moment of learning. And that’s what I love to see when I’m with my students. IS THE WEB BEING USED TO JUST DELIVER CONTENT THESE DAYS? I don’t think delivering content is what education is about or what an information superhighway should be built to do. Content is important, but it’s only important because of people, because of what we’re interested in…what we want to learn…how we want to connect with each other. We could actually use the web in education. We could get away from learning management systems. We could do something other that deliver content on channel w of the worldwide web and have student success defined as passing a set of competency exams on your way to whatever. And the more I thought about it, the more the analogy seemed to be a powerful lens, a way of thinking about some things. I’ve been troubled by and trying to work on for a while and not just me alone. There are a lot of people out there who are thinking what if we actually help students weave the web and not just access content on the web. What if we continued to weave this tapestry together? WHAT IS YOUR ARGUMENT AGAINST ORTHODOX MODERN EDUCATION? There are many great things about formal education. I loved school. School done well is amazing. And part of that always has to do, in my mind, with formal study, with being with experts, with not just connecting with my co-learners. That’s great, but also being there with someone who has thought richly and long about this topic for decades. What I object to has to do with ways in which good things, from the lecture to the classroom to the course of study to the syllabus to the semester even potentially even to the credit hour, those good things get scaled up and made into something that it seems to me is harmful. And you start to hear phrases like we need to graduate more students. Well I’m sorry. The student graduates. We don’t graduate them. It is not done unto them. The student graduates. That degree belongs to them. But it won’t belong to them if we define it all merely as competency or did you get the content delivered. We will not get there if we think about students as our products. WHY ARE ONLINE LEARNING COUNCILS IMPORTANT? One of the things higher education is supposed to be is a community of learning. And to be able to do that in a way that, it seems to me, aligns with some of the best of, if we want to call it, educational orthodoxy, or the best of the traditions of higher education, is to have a place where people can come together and learn from each other… grow themselves as learners…become informed and take a serious role in the governance of an institution. So typically an academic technology committee or an online learning council, anything that cuts across the disciplinary and administrative divisions of a university to bring people with shared ideas shared commitments together…to be able to influence policy…to be able to… Well the old saying is, all of us are smarter than any of us is. So to be able to pool wisdom and knowledge in ways that get us to that synergy where the whole is greater than the sum of the parts that it seems to me as very valuable. WHAT DO YOU THINK THE FUTURE OF EDUCATION AND ONLINE LEARNING WILL LOOK LIKE? So that’s kind of the Christmas Carol question. You know, there’s Scrooge and he’s with the ghost of Christmas yet to come. And he asks them are these things that are really going to happen or are they just the shadows of what may happen. It all depends on whether Scrooge wakes up with a human heart or not. If we are able to greet this moment with curiosity, with interest, with a kind of openness, a spirit of playfulness, that also is unapologetic about the value of sustained study…is unapologetic about the value of expertise…is truly concerned with learning and not just with producing graduates, I think, on my best days, there’s still an opportunity for education to be able to think about what it means to be a community of learning and how, for example, a global light speed telecommunications network might be of interest. WHAT’S THE WORST CASE SCENARIO FOR THE FUTURE OF EDUCATION? The bad dream is we build many more content-management containers. We produce more graduates. We have more content rocketing down Channel W on the World Wide Web all locked up, all safe, all protected business models, intact hurtling towards a future in which either the learners will simply figure out how to get around us and the degree does not become a marker of value anymore, which will serve us right. Or another bad future in which a few people who understand learning make all the apps that go on the smartphones for the rest of us who simply go to work one day after another. A lot of things will die if that happens. Democracy is one of them. Some people will tell you we’re already on our way to that bad future. I figure if I’m still a teacher, I’m kind of still under oath to be optimistic so I keep hoping.